[Robert McMullen] designed and built this fascinating, fully automated, pyrotechnic star pump (Google cache). It was made as a project requirement for his engineering program — The inspiration? He also happens to be a member of the Olin College Fire Arts club. Let’s backtrack for a second. What is a pyrotechnic star any ways? They are the pyrotechnic pellets that make up the heart of all projectile type fireworks. Usually either a metal dust, compound or salt, they are what makes the pretty colours and “stars” of the fireworks. Only problem? If they aren’t made right they can be rather dangerous. Luckily, [Robert] chose one of the safest methods: pumping. The basic concept is that the star mixture is damp as it is pressed into a cylindrical shape, and then cut and dispensed, ready for use after a drying period. The machine is a very slick mechanical contraption that is even a bit mesmerizing to watch. 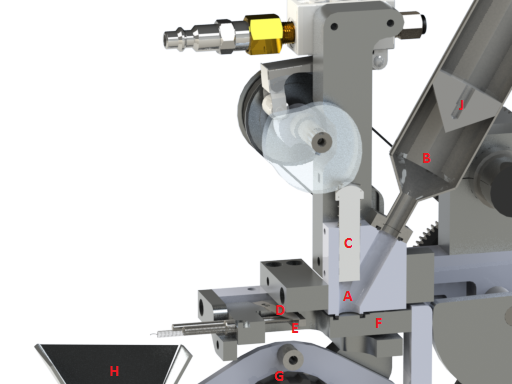 There’s lots of info on his blog, and even the technical drawings and Solidworks files are available! If this all seems rather familiar, [Robert] built a similar machine that creates waterproof fuses. Stick around after the break to see it in action! Unfortunately we regret to inform you… blowing up of the stars is not included.